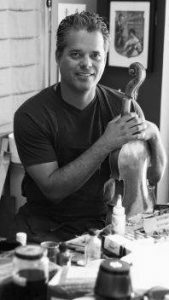 Gary Vessel graduated from the Violin Making School of America in 1988. While attending school he spent two summers working in Seattle with Rafael Carrabba. Upon graduation, he worked in Bremen Germany for Geigenbau Machold learning restoration techniques and Violin identification. He had the opportunity to learn from Roger Hargrave, Neil Ertz, Julie Reed, and Marcel Richters. Miralles, John Young, Dan Salini and Pablo Alfaro. Gary Vessel has won several awards for his workmanship and tone at Violin Society of America competitions. In 2005 Gary moved to his home town in California to establish a fine stringed instrument shop in Modesto. With his partner, Steve Thomas, Gary runs Thomas and Vessel Stringed instruments. There he continues to build violins, violas and cellos for clients throughout the world. 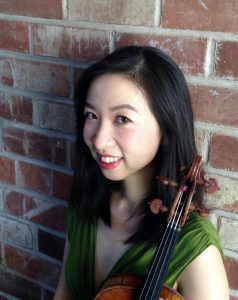 Emily Chao, violinist, made her concerto debut at age 12 and has since appeared in concert venues across the US as a solo and chamber musician. Emily holds Bachelor’s and Master’s degrees from New England Conservatory and a DMA from Boston University, where she completed her dissertation on Szymanowski’s first violin concerto. 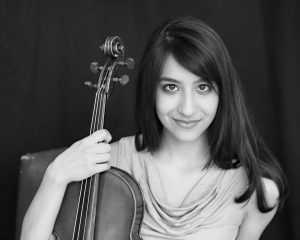 She currently plays violin with the Tucson Symphony Orchestra and coaches chamber music for Tucson Adult Chamber Players. Michael Russell is a violinist, violist, and conductor. He holds Undergraduate degrees from Indiana State University in Violin Performance, BM, and Music Theory, BA. His Master’s and Doctoral (ABD) degrees in Violin.Performance are from the University of Arizona. 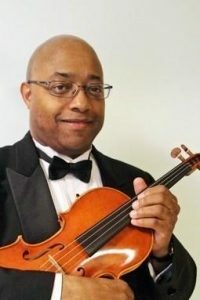 Mr. Russell has performed solo recital, concerto, chamber music, and symphony orchestra programs in the Midwest, Pacific Northwest, and Southwest United States, Northern Mexico, and Peru, South America. Mr. Russell studied conducting with Dr. Leonard Pearlman and Andor Toth, Sr. He has performed in orchestras under the direction of Peter Bay, Jesus Lopez-Cobos, Andreas Delfs, Joanne Falletta, Raymond Harvey, Louis Lane, Bill McGlaughlin, Fabio Mechetti, Jorge Mester, John Nelson, Heichiero Ohyama, Dr. Leonard Pearlman, Gerard Schwartz, Leonard Slatkin, Michael Stern, Joseph Swenson, Yuri Temerkanov, Andor Toth, Sr., and Edo de Waart. His chamber music coaches and collaborators include Dr. Robert Billups, Dr. Gordon Epperson, Dr. John Ferrell, Lynn Harrell, Peter Marsh, Peter Salaff, Dr. Jeffrey Showell, and Andor Toth, Sr.
From 1996 to 2003, Mr. Russell was an Assistant Professor of Music at the University of Idaho in Moscow, Idaho. He taught Violin and Viola, conducted the University Symphony Orchestra, and was the String and Piano Chamber Music Program Coordinator. He also served as the violinist of the Kennard Trio, the University’s Resident Piano Trio. From 2003-2008, Mr. Russell was the Middle School Orchestra Director for Kamehameha Schools, Hawaii Campus. Ms. Toy plays a viola that was custom-built for her by Gabrielle Kundert in 2015. Cellist Juan Mejia hails from the city of Medellín, Colombia. His early musical studies were completed at Universidad Javeriana under the tutelage of Mintcho Badev. Upon moving to the United States at the age of seventeen, he was accepted into the prestigious preparatory program at the Interlochen Arts Academy in Michigan before matriculating to the San Francisco Conservatory of Music to complete his Bachelor of Music and Master of Music degrees under the guidance of Jean Michel Fonteneau. From 2014 to 2016 Juan was the cello teacher for the Young Musician Choral Orchestra (YMCO). This non-profit organization offers high quality, intensive musical training, academic support, and personal guidance to improve the lives of talented, low-income students aged 9-18 from all over the Bay Area. During this time he was also part of the San Francisco Symphony’s educational outreach program, Adventures In Music (AIM). The four members of his quartet gave circa one hundred and fifty performances in many of San Francisco’s elementary schools. In 2016 he was the recipient of one of the prestigious graduate Fellowship awards at the University of Arizona. 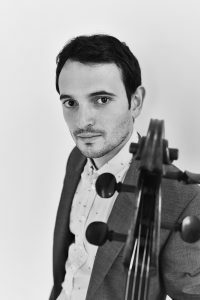 He is currently pursuing his DMA degree in Cello Performance at the University’s Fred Fox School of Music, studying with Professor Theodore Buchholz.